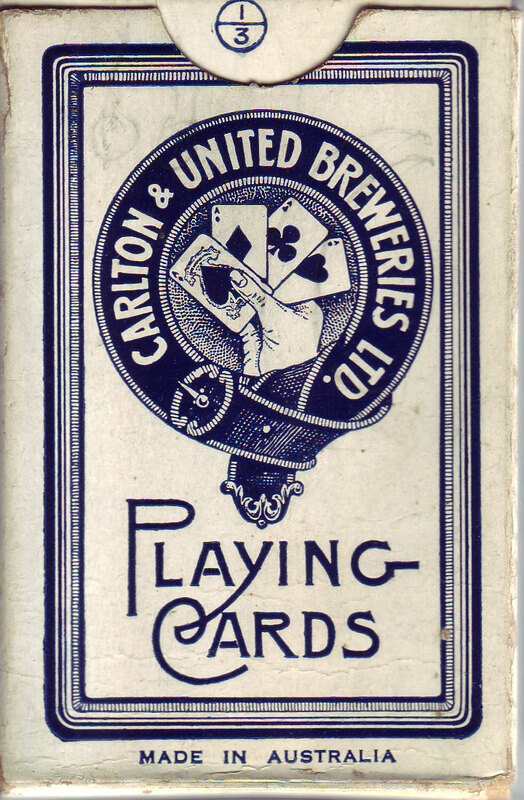 Sands & McDougall made a lot of special advertising decks in the 1920s and 30s, particularly a series of the various beer brands produced by Carlton & United Breweries. 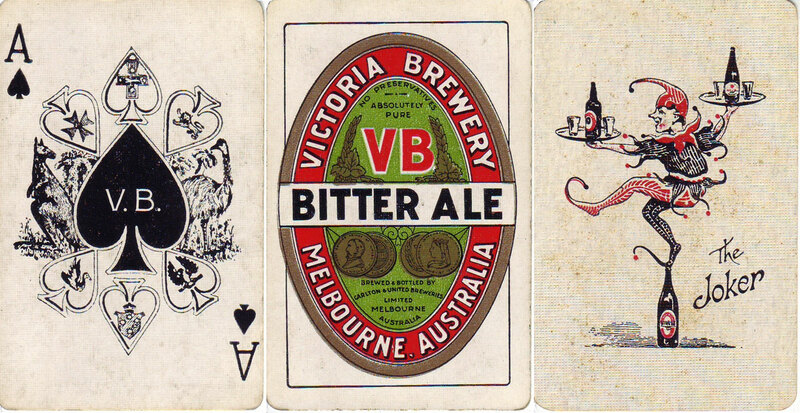 They have the brand marked on each of the aces, a special jester joker common to the series, and a copy of the label on the back. Rest of the deck is standard. Above: all images courtesy John Daniels.